The Senior Director of Small Business Services will be a dynamic leader who is self-directed and motivated to help achieve the mission of the Gwinnett Chamber by developing, implementing and providing programs and services that will enhance the expansion of small business in the Greater Gwinnett area. This position has no direct reports. 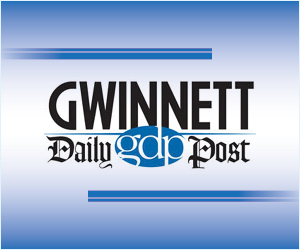 The ideal candidate will be able to work with small businesses to determine programming that is needed within the Gwinnett business community. Also, they must be able to play a key role in developing and maintaining relationships between the Chamber and individual businesses. Core responsibilities will include driving our Buy in Gwinnett shop local programs in Shop in Gwinnett and Dine in Gwinnett. Other responsibilities will include working with Chamber selected programs that offer benefits to our small business members. This position will report to the Senior Vice President, Membership Services. Please submit resume with salary requirements to hr@gwinnettchamber.org. NO phone calls please. Due to the high number of applicants, we will not be able to contact everyone that submits a resume. The Gwinnett Chamber of Commerce is an Equal Opportunity Employer, a Drug Free Workplace and an E-Verify participant. All employment is contingent on the successful completion of drug screen, background and E-verify checks.